Baldwin IV had leprosy at a time when it was considered a death sentence as well as a ticket to social ostracism. Instead, he became the King of Jerusalem and a hero to his people. Wikimedia CommonsTwo medieval lepers being denied entry into a town. 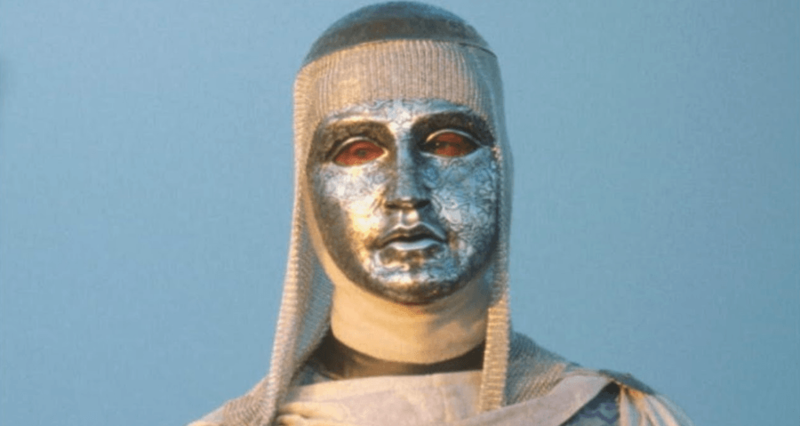 Medieval prince Baldwin IV knew his chances weren’t good when he was diagnosed with leprosy at the age of nine. Before the (relatively recent) discovery of the cure for leprosy, contracting the disease was as good as a death sentence. Victims of leprosy were not only condemned to a slow and painful demise — they were also shunned by their communities as “unclean” and driven out to live in colonies of the sick and dying, lest they spread their contamination to others. But in the 12th century, the young king Baldwin IV defied the odds. After his diagnosis, the boy was protected by his royal position; at a time when kings were viewed as appointed by God, the Frankish court did not force him to live in solitude, much to the astonishment of local Muslims. 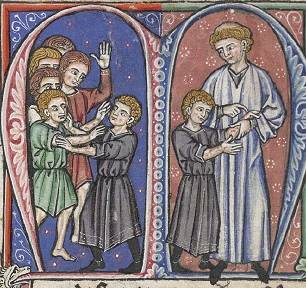 Wikimedia CommonsBaldwin’s tutor, William of Tyre, who realized the boy had leprosy when he could feel no pain in his right arm. Despite his affliction, the young prince demonstrated a sharp mind and was a skilled rider. Baldwin was catapulted into a position of tremendous power after his father’s untimely death in 1174, which turned the sickly 13-year-old into the king of Jerusalem. The French had only taken control of Jerusalem 75 years earlier, in 1099, when the First Kingdom of Jerusalem was established in the aftermath of the First Crusade. Larger than any contemporary European city and of enormous religious importance to both Christians and Muslims, Jerusalem was threatened by the powerful Sultan Saladin nearly as soon as Baldwin IV began his reign. Wikimedia CommonsSultan Saladin of Egypt and Syria was King Baldwin IV’s most formidable enemy. In an age when kings were expected to fight on the front lines, Baldwin did not let his disease get in the way of his royal duties. 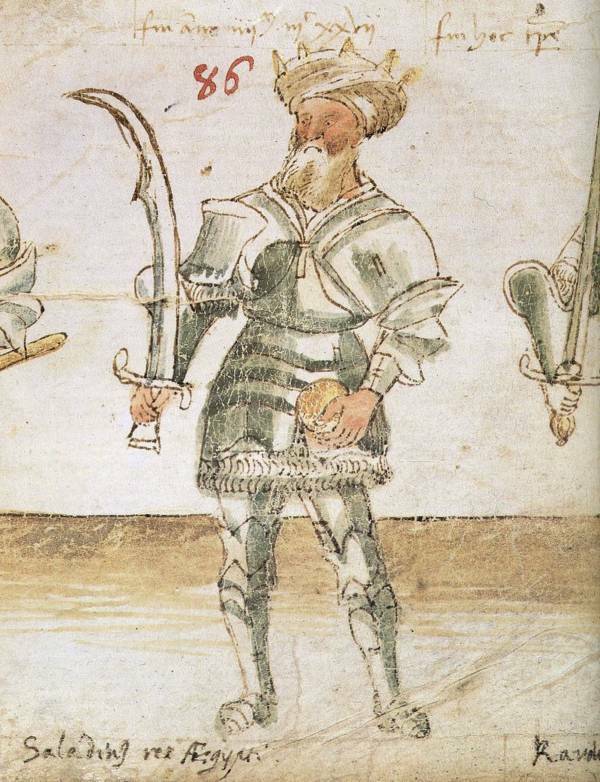 The same year he was crowned, the teenage Baldwin organized a successful attack against Damascus as part of his larger strategy to lure Sultan Saladin away from Aleppo. Two years later, he was on the front lines again, leading his troops into battle to fend off Muslim attacks on Damascus and Andujar. Although he could only hold the reins of a horse with one hand, Baldwin rode at the head of the Frankish army against the Muslim forces in the Battle of Montgisard in Egypt, where they dealt the sultan a surprising blow. Baldwin’s victories made him a hero in the eyes of his people: their king had managed to overcome his crippling illness to crush one of the most powerful armies in the world and drive back the Muslim threat. Although the “leper king” has often been popularly depicted as wearing a mask at all times in public to hide his disfigurement, there are no contemporary accounts of Baldwin attempting to cover his face. In fact, during the early years of his reign, he showed no outward signs of the disease at all, although toward the end of his life he had developed multiple ulcers and gone blind because of the bacteria from the disease. Far from being shunned and despised because of his affliction, Baldwin IV was only endeared to his people because of it. He had led his armies to triumph against a foe with superior numbers through a combination of courage, wit, and tremendous willpower, refusing to let a debilitating disease prevent him from defending his country himself. 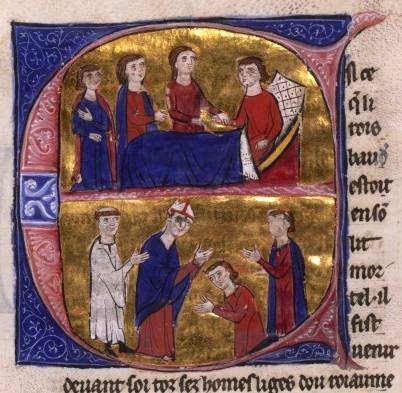 Wikimedia CommonsA medieval depiction of Baldwin’s death. Although his wits were still perfectly intact, Baldwin realized his body was finally succumbing to the disease at the age of 24 and offered to abdicate. His offer was refused, a mark of the tremendous esteem his people had for him. Baldwin IV would remain king of Jerusalem until his death in 1185, ending a reign more successful than anyone ever expected. In 2005, the film Kingdom of Heaven depicted the Crusades of the 12th century, with Edward Norton in the role of King Baldwin IV. The film is largely based on the historical accounts of William of Tyre, the medieval prelate who was also the tutor who first discovered Baldwin’s leprosy. The initial critical reaction to the film was tepid — historians pointed out that the protagonists had been made significantly less religious and more skeptical than the historical record suggests. King Baldwin IV, for all his heroism, was probably not a humanist or an advocate of religious pluralism. Pragmatism, however, and sensible leadership did lead him to make many of the choices we witness in the movie — and his courage on the battlefield and unwillingness to make concessions to his disease are certainly corroborated in historical accounts. After learning about King Baldwin IV and how he overcame leprosy, check out these 49 photos of life in old Jerusalem before the state of Israel was created. Then, read about how Christian artists rewrote history to embrace the image of a white Jesus.